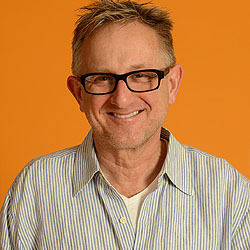 After UCLA Film School, Ed Neumeier worked as a gofer on the TV show Taxi, spending nights at the writer’s room door listening and waiting for pages. He next became a Story Analyst, reading scripts at Paramount Television and Columbia Pictures, eventually working as a development executive at Universal. His first script (co-written with Michael Miner) was RoboCop (1987) which he co-produced with Jon Davison for director Paul Verhoeven. He subsequently wrote the pilot for the RoboCop TV series (1994) and served as a creative consultant for 24 episodes. Neumeier reteamed with Davison and Verhoeven for Starship Troopers (1997). In 2001 he helped create and consulted on the TV show Relic Hunter starring Tia Carrere which ran for 66 episodes. Neumeier worked once again with Michael Miner on the script for Anaconda: The Hunt for the Blood Orchid (2004) and wrote and produced Starship Troopers 2: Hero of the Federation (2004) for director Phil Tippet. In 2006 he wrote, directed and produced Starship Troopers 3: Marauder (2008). Neumeier and Miner were awarded shared writing credit with Josh Zetumer by the Writers Guild of America for the use of their original work in the remake of RoboCop (2014), directed by Jose Padhila. Neumeier is currently writing a reboot of Buck Rogers for producer Don Murphy (Transformers) and producing RoboCop Returns for MGM, a direct sequel to the original 1987 RoboCop to be directed by Neill Blomkamp. In this cracking session we’ll go into what science fiction is, what its conventions are, how to best write it and what the differences are between SciFi for film and TV. In the latest of LSF’s exclusive Script-To-Screen series, you can read the Robocop script in advance, then watch the movie as Neumeier discusses the experience writing one of the most effective social satires of all time. What a Sunday afternoon! Robert Heinlein’s Starship Troopers is a classic in sci-fi literature. Screenwriter Ed Neumeier turned Heinlein’s glorification of militarism into a satire of war and propaganda. Join us as we bug out with Ed to examine his viscerally satisfying, smart and funny examination of our own natures. Have you got the Pitch Factor? Live from the London Screenwriters Festival, the Pitch Factor returns with CASH prizes and our very own motley crew of judges! An outstanding and extremely well-run Lab and my writing has benefited enormously from it. Can't thank you guys enough. Tickets cost £348 and get you access to all three days of the world’s biggest screenwriting event plus the online network and massive archive of past sessions. If you need to cancel your ticket purchase you can get a full refund up until 45 days prior to the first event. After that we cannot offer refunds but we can offer a rollover of your pass to the following year. You can only rollover if you notify us of your non attendance BEFORE the festival. Refunds will be paid back promptly although we reserve the right to charge up to a 10% admin fee in some cases. In some circumstances, refunds may take place after the event due to staff workload. We aim to be prompt but it could take up to 45 days to process. Alternatively, tickets are transferable to other people if you can find someone to replace you and we are happy to change the name on the ticket. Please allow 48 hours for a change of name on the pass to take place. We reserve the right to decline admission and offer a full refund at our discretion. We reserve the right to change the venue and dates of the event. Tickets rolled over from a previous year(s) or event(s) are not eligible for a refund. We reserve the right to cancel the event and offer a full refund. The London Screenwriters' Festival sets out to secure agreements from each speaker and workshop leader prior to announcing their involvement and commitment to appear. However, one or more speakers may be unable to appear or may not arrive at their scheduled time for any number of reasons. The Festival cannot be responsible if a speaker does not appear as scheduled. Additionally, the London Screenwriters' Festival sessions and workshops may be cancelled or rescheduled at any time; and the London Screenwriters' Festival retains the right to change the content of any session at any time.